Our recent new arrival, Frodo, was back at the vets for surgery today. Last week Frodo had blood and urine samples taken and tested. Urine samples ruled out any infection etc that may be causing the smell, and his bloods came back showing there was a fair amount of testosterone in his blood.... so he was booked in today, to find those testes, and remove them! They were found, lodged up in his abdomen, beside his bladder. And removed by our wonderful vets! Frodo came around so well from his op, and is doing just fine. Back "home" at the haven, he has had his supper, a few dreamies, and is snuggled up for the night. Of course it was essential he had this surgery. To not only stop him being fertile, but to reduce that Tom cat smell for future homing, and also, un-descended testes can form into cancerous masses in later life if left to their own devices. Frodo is an absolute darling, and absolutely loving, gentle boy. We will of course give him a few days to settle from his op and he will soon be ready for adoption! Watch this space! Surrendered into care this weekend, no fault of his own. Frodo is a beautiful boy, (4 years young) such a gentle, sweet character and settling well into care. Frodo has one descended testicle and will be visiting our wonderful vets this Friday to be scanned to locate the hidden testis hidden in his abdomen (left any longer could result in a cancerous mass in later years) and neutered. 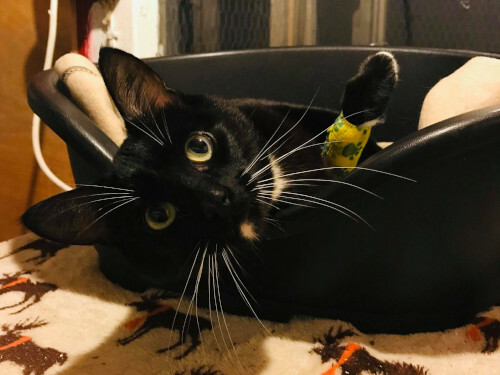 Once Frodo has recovered from his op, and assessed further, we can then move on to find him his forever new home. He's a sweetheart and has had an overwhelming few days, but is settling well and enjoying cuddles, treats and lots of fuss! Welcome Frodo, we'll soon have you ready for adoption sweetheart. 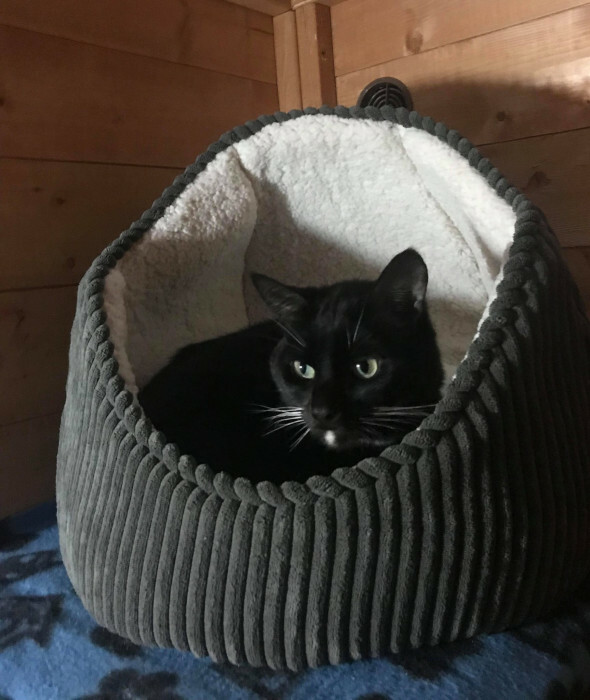 If you'd like to help towards the costs of Frodo's vet care and on-going care, or any of the 20+ cats care we have currently in care at Paws, you can do so via PayPal to: pawsandmittens@hotmail.com Thank you.